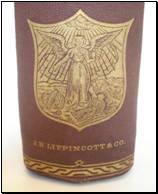 We are collectors of Civil War Medical Items. 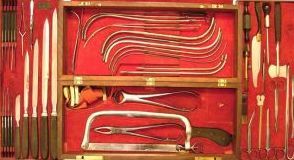 This site contains numerous pictures and information on Civil War medical books, antique medical books, and Civil War surgical sets. We specialize in antique medical and surgical books from the Civil War era. Of special interest are those Civil War medical books stamped U.S.A. Hosp. Dept. , U.S.A. Hospital Department , U.S.A. Med. Dept . These Civil War medical books signify those medical texts used by the United States Army Medical or Hospital Department (Union Army) during the Civil War. Are you interested in collecting antique medical books? Civil War medical books? Do you have books you would like indentified? Appraised? including Civil War Medical Books, Paper Items, and Surgical Sets. Discussing such themes as Civil War Medical books, Civil War Surgical Sets, Surgeons, Doctors, U.S.A. Hosp. Dept., U.S.A. Med. Dept., Amputations, Civil War Surgical Instruments, Hospital Gangrene, Disease, Ambulances, Gunshot Wounds, Trephine, Hernstein, Tiemann, Tiencken, Snowden, Kern, Gemrig, Wade and Ford, Kolbe, Tourniquet, Civil War Authors, Ether, Chloroform, Anesthesia, Medicine, Surgery, Opium, Quinine, Materia Medica, Soldiers, Hospital Steward, Battlefield Medicine, Articles, Manuals, Textbooks, Union Army, Confederate, U.S.A., C.S.A. Please contact xring600@gmail.com if you want to repost any information, pictures, or articles from this site. Thanks!